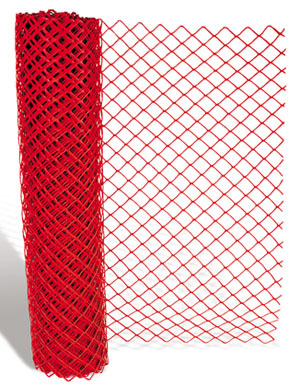 Lightweight and flexible fence, that is used for safety at construction sites, ski slopes, etc. is easy to handle, install, or relocate. It is U.V. inhibited and resistant to temperature changes. Size: 4' x 100' Orange. Economy chain link fence. Not shown. High visibility fluorescent orange chain link style. 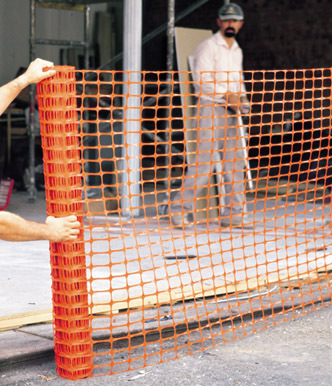 For use both as a barrier and a warning at construction and excavation sites. Lightweight yet extremely durable. Has built-in U.V. 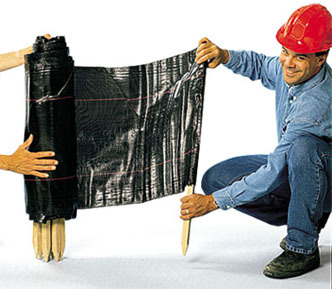 stabilizers to prevent deterioration due to sunlight. As an added plus, the fence is made of 97% recycled poly; reducing the environmental burden. Same as CF-450. Green color, to blend unobtrusively into the background. Other colors available in special order. The silt fence with 11 stakes, 1 every 9 feet, is specially designed to allow water to pass through while retaining silt and other matter on construction sites. 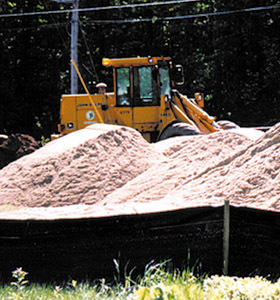 It protects streams, lakes and other waterways from silt build up and keeps adjoining roadways free of mud. It is durable, strong, lightweight and easy to use. It is DOT approved in many states and approval pending in others. 3’ x 100’. Fence Posts wood or steel.